The first cover I designed for CC Tillery was for the 3rd book in the series, Beloved Woman. 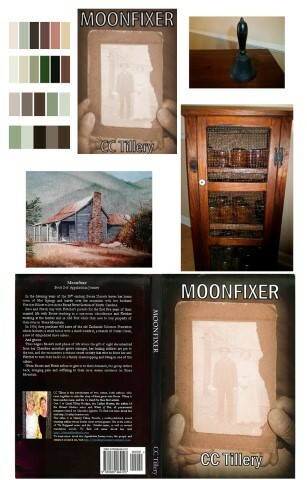 The second cover was a re-design of the 2nd book in the series Moonfixer. Moonfixer went a little faster because we had a theme to follow, the series logo and the publisher imprint, plus to keep with the series theme I used the same text style and layout. This book would have a custom photo shoot, be a full flat and front only for an ebook and audio book. In Moonfixer, Bessie is a teacher so we used her teacher’s bell that Fletch gave her plus the photo that was on the original cover. The background is from a pie safe. I shot it on slate rocks for some added texture. We had roughly chosen the color theme for the books but after I got started on this one I changed it from green to yellow to better go with the moon photo I took on the back cover. Again we incorporated a painting by the authors’ father, John Tillery and he graciously allowed some color editing to flow with the cover colors. 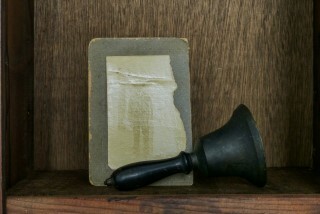 The biggest challenge on this one is the fact that the bell and the photo were almost exactly the same size. 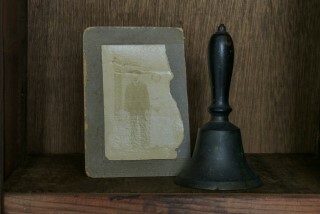 The way I ended up arranging the objects gave the photo quite a bit of depth and helped break the same size look. The next book, Whistling Woman was the hardest for me- in part because it was already an internationally published best-seller and had been picked up in two additional languages. Look for a post on that soon. Just like the first book, I have to say that Cyndi and Christy gave me almost total freedom and plenty of time to work on their cover. This entry was posted in book cover design, Book Covers, Books, Catch ALL page (blog), Cover Design by Kim and tagged author, book cover, book cover design, book cover photography, Books, Cover Design by Kim, The making of on August 17, 2015 by KiM. Kim, we say it over and over – we could not have asked for a better book cover designer. You did a fantastic job with each book and we’re looking forward to more! Thank you so much. I’ve been working on the cover for Wise Woman. It is falling into place and hope the writing is going well for you both. I love designing covers and thank you for the opportunity.